Just west of the Navy Yard Broad Street entrance is Quarters A, the Navy Yard’s oldest building. Built in 1874, it is a three-story, Italian Villa-style, white painted brick house for the Navy Yard’s civil engineer. 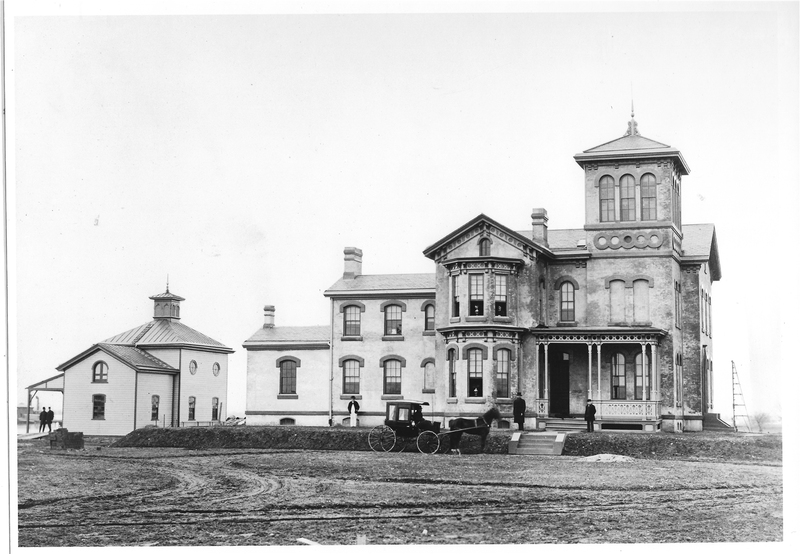 From this building, the Navy civil engineer directed the dredging of the Reserve Basin in League Island’s back channel and the construction of a causeway extending Broad Street to the island. 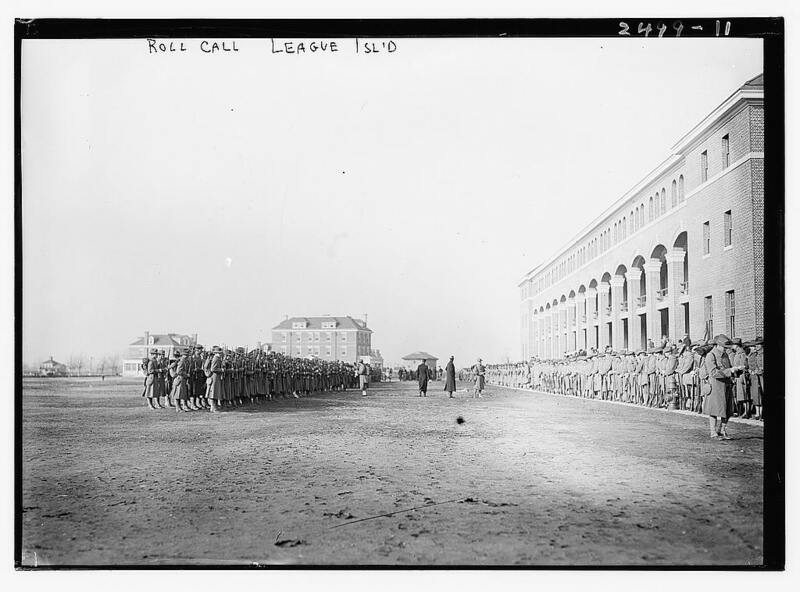 A street grid was established and buildings were grouped and built according to Navy department organization. 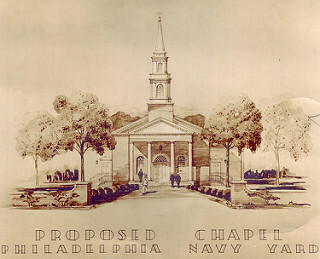 Built in 1942, and resting in the core of the Navy Yard Historic District, the Chapel is a fitting place to honor the memory and promote the legacy of four of the nation’s most revered brothers in arms. Traveling to the Navy Yard has always come in many forms: driving, carpooling, motorcycling, biking, walking, using taxis, carshares and rideshares, and even skateboarding! 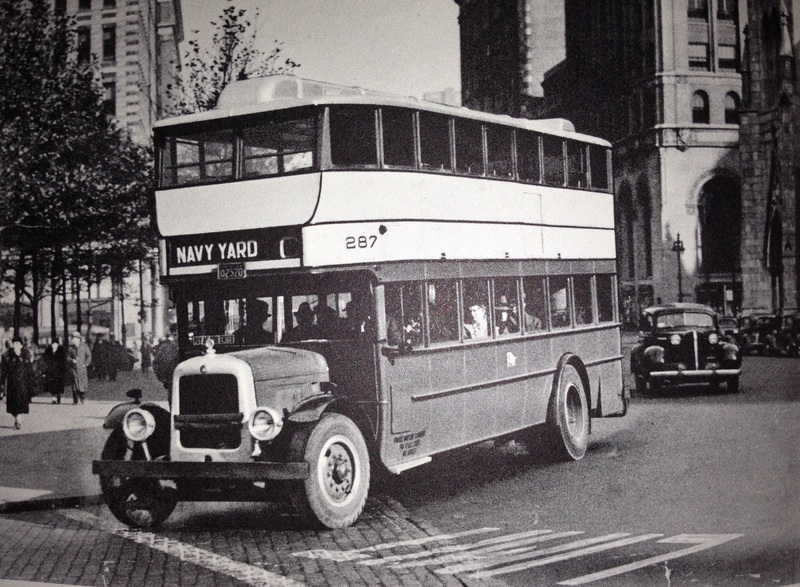 Using a bus or shuttle has long been a great source of transportation for the Navy Yard community and it’s many employees throughout the years. Workers at The Navy Yard didn’t always spend their lunch breaks walking around the Marines Grounds in pursuit of the perfect food truck or relaxing in a hammock at Central Green. 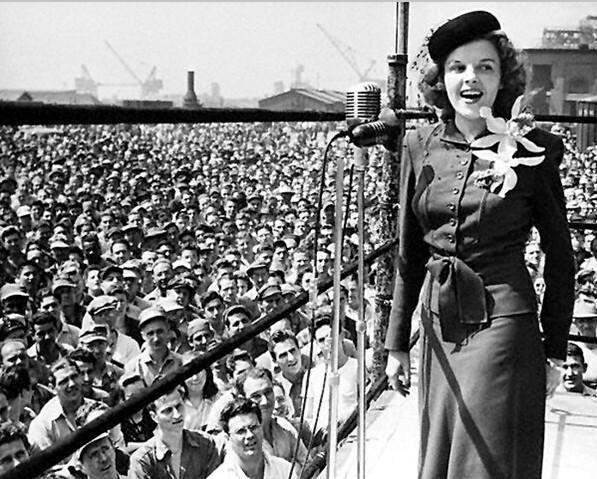 During World War II, the Philadelphia Navy Yard Development Association boosted morale and production by organizing lunchtime entertainment. 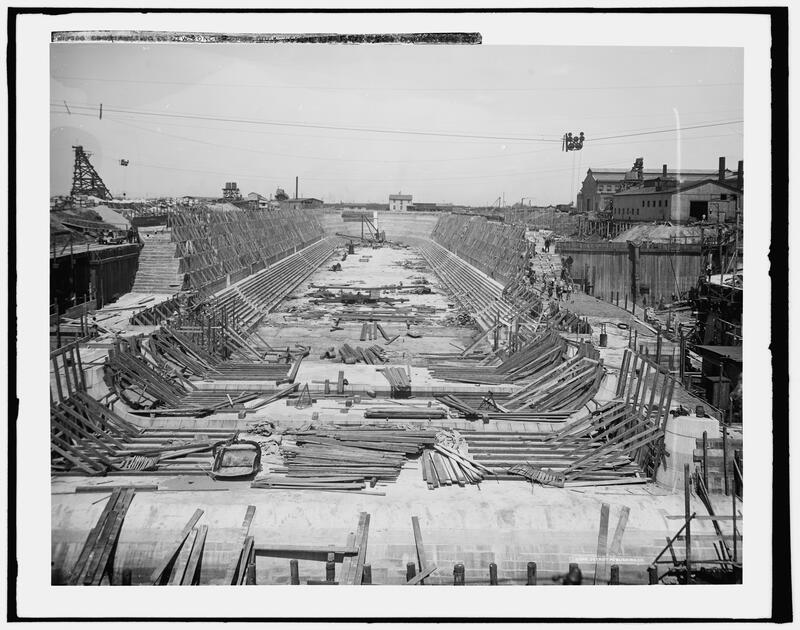 The Association created the Navy Yard Band and invited the music director of the Philadelphia Orchestra, Eugene Ormandy, to conduct its first concert. These lunchtime shows also included performances by Judy Garland, Esther Williams, and John Wayne.